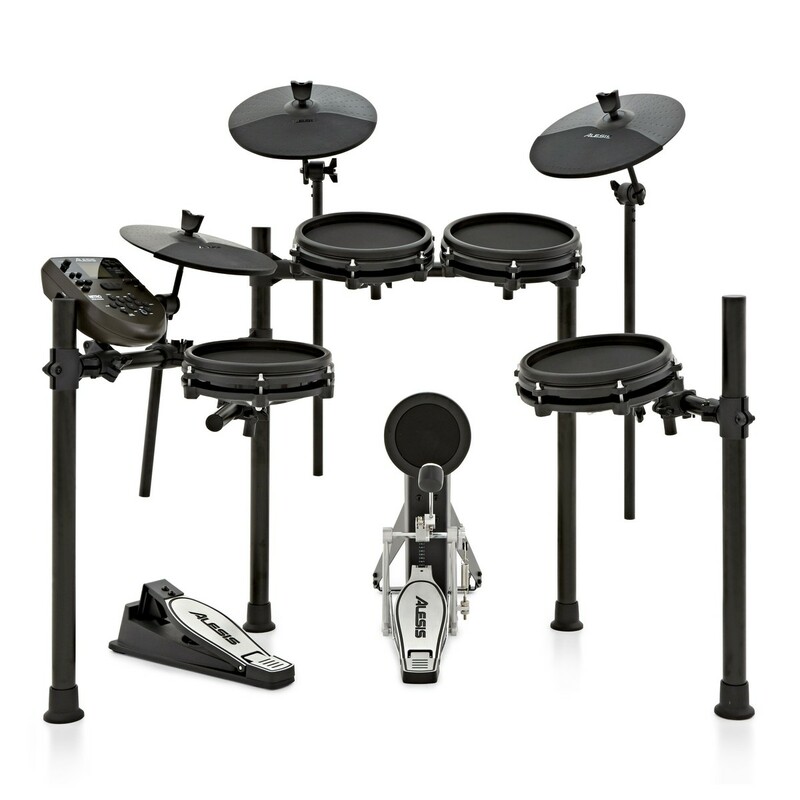 Looking for the ideal starter electronic drum kit? 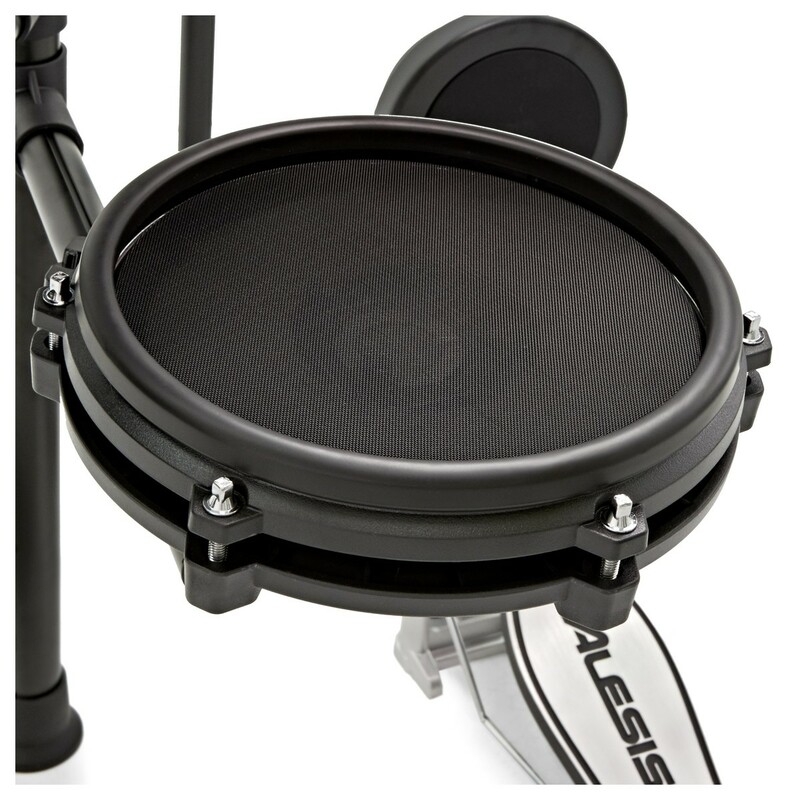 The Alesis Nitro Mesh has finally brought mesh pads to the people at a fantastic price point. Expanding on their hugely popular mesh range, the mesh heads offer an immersive experience thanks to a responsive feel. Combined with over 350 sounds built into the Nitro module, versatility isn't a must, it's a given. Just starting to play the drums? The Nitro Mesh has built in coaching features. The built-in coaching and metronome features allow for you to develop and improve timing. Play along to the 60 built in tracks, or, play along to your own by connecting your smart phone or music player via the aux input on the rear of the module. This is just scratching the surface of the Nitro Mesh capabilities. Why mesh? 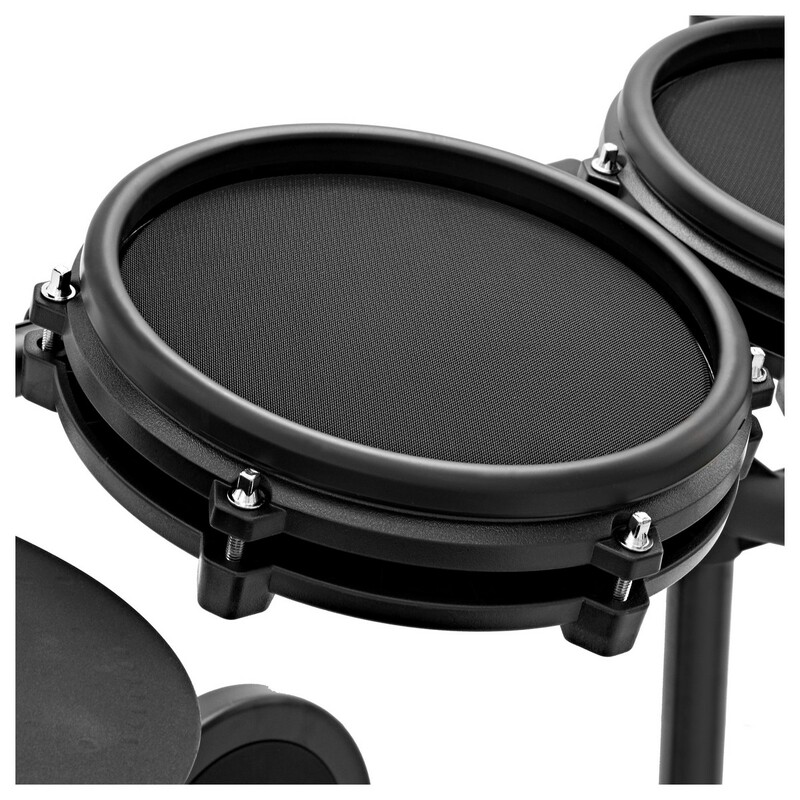 Premium mesh heads allow for an accurate rebound, resistance, and overall feel, much like an acoustic kit, but without the loud and bulky shells. 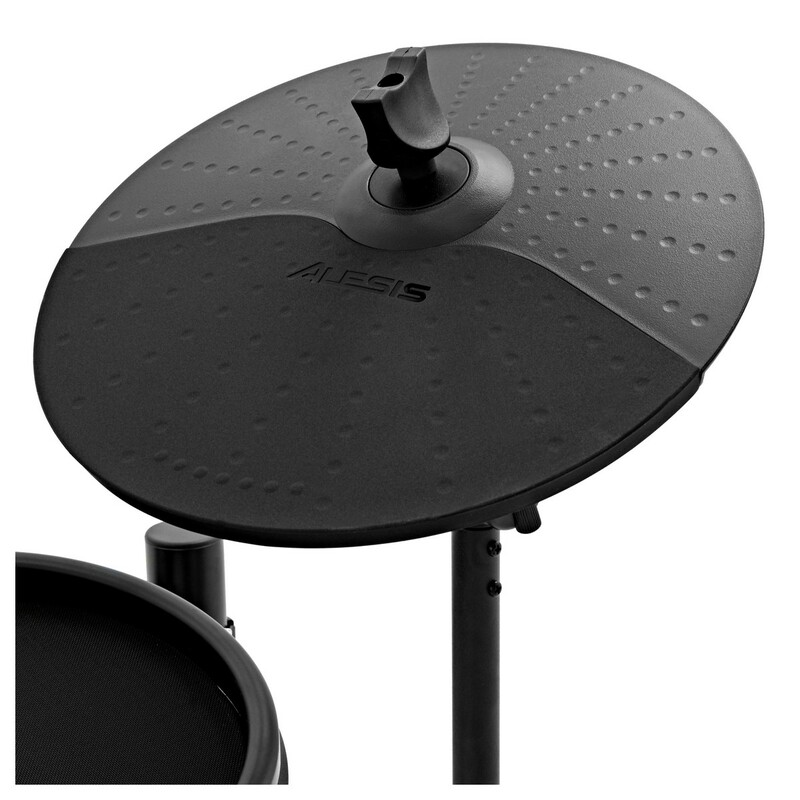 Mesh is also more sensitive, meaning a more authentic and dynamic sound can be triggered, especially as the Nitro Mesh features a dual zone trigger for the snare and the snare rim. Not only does the Nitro Mesh provide an uncompromising, natural feel, you also get ultra-quiet response, meaning your practise doesn’t have to be limited to neighbour friendly hours. Great for a beginner or someone who wants to tighten their playing, the Nitro is packed with practice features. With 60 tracks built into the module, you can either play along to the drums or switch them off entirely with the press of a button, so you can truly sink into the groove. The additional metronome means you can simply set a BPM (beats per minute) to play along to and get on with your practise. You can even record your performance, once again at the touch of a button and play it back to hear how you did. 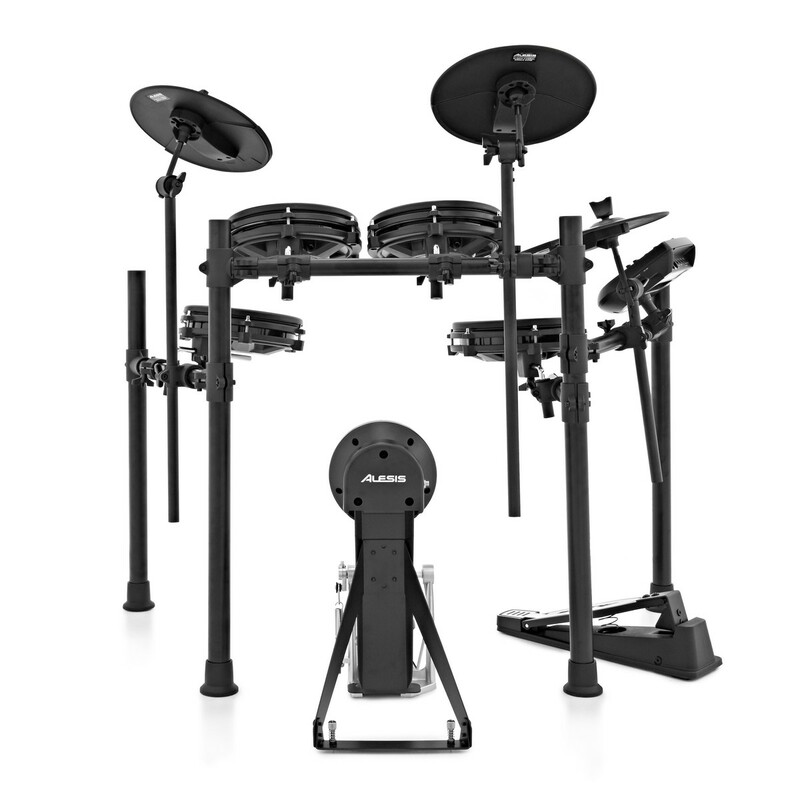 The Nitro comes out-of-the-box with 40 ready-to-play preset drums kits. Ranging from classic rock sounds and contemporary pop sounds through to vast electronic and foreign percussion based kits, there’s something for everyone. If you’d like to create your own kit using the 385 drum and cymbal sounds built in, you can easily tweak and save your favourite kits with the simple to use interface. 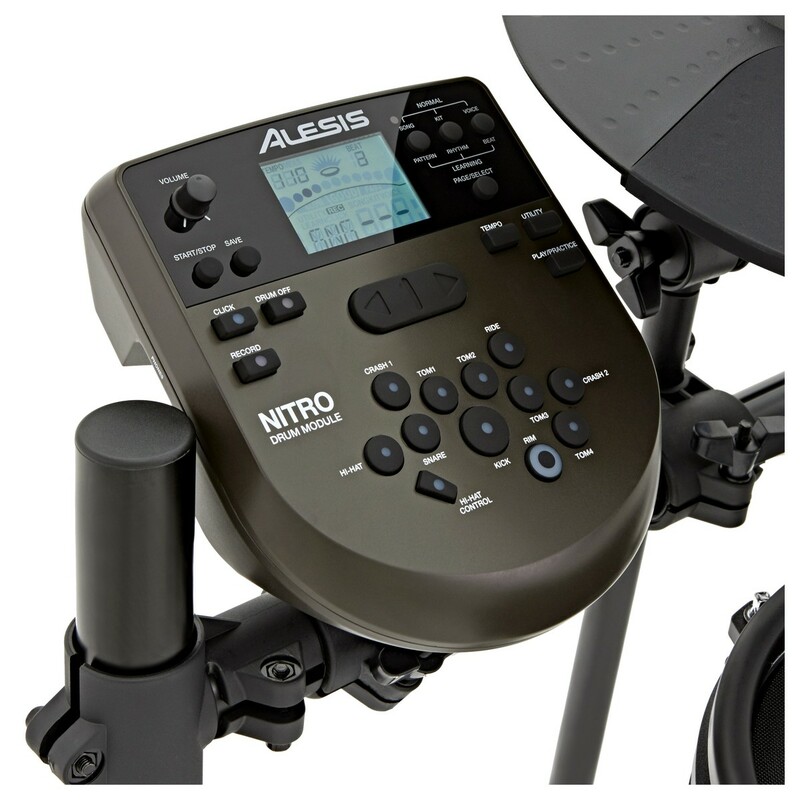 The Alesis Nitro module features vest amounts of connectivity. 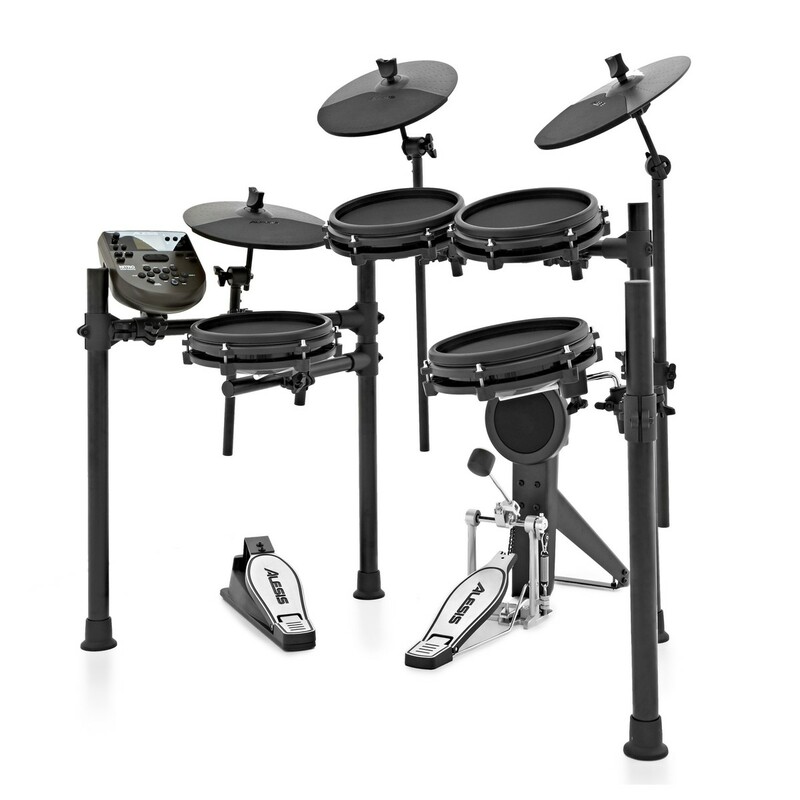 You can expand your kit using the additional Tom and Crash cymbal inputs, taking your eight piece drum kit to a ten piece. You can record MIDI directly into your computer into your choice of DAW (Digital Audio Workstation) with the Nitro via a single USB cable. Additional MIDI ports allow for almost infinite expandability. Be it an alternative hardware module to trigger, or connecting from your computer to use the module as a sound source.